In this interview I sit down Dr. Jay Morgan, someone I met about a year ago when I was selling Think Positive™ items on the San Antonio river-walk. Dr. Jay stopped by my booth and instantly liked my message. He purchased a few Positive Pins™ and told me that they’d be a great message for a large training seminar he conducts to train other chiropractors. Well thanks to his connections I was able to fill my largest single order to date! And I would say that a majority if the 150 chiropractors there all loved the idea and made purchases. 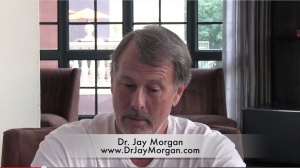 Thanks Dr. Jay, I love connecting with like minded people that get my message. I also like meeting other closet musicians too! Fill your mind with good things rather than toxic garbage, and remember to think positive thoughts as often as possible. I suggest reading as many good positive things that you can, in the way of quotes and books. Books like The Power of Positive Thinking, Think and Grow Rich, Three Feet from Gold, and a number of other inspirational and motivating books. Immersing yourself in ways to think positive thoughts and do positive things is the key to a happy life. Whatever you want to be or become, chances are high that someone that has already done it and become successful has written a book about it. Read that book! I love the saying “leaders are readers” because it reminds me that I need to continue to read more and more every day. If you know of anyone that should be recognized for their positive attitude, please contact me so that we can keep this positive vibe spreading. And get some Positive Pins™ to wear or share! This entry was posted in Recent Positive Posts by Jonathan de la Garza. Bookmark the permalink.